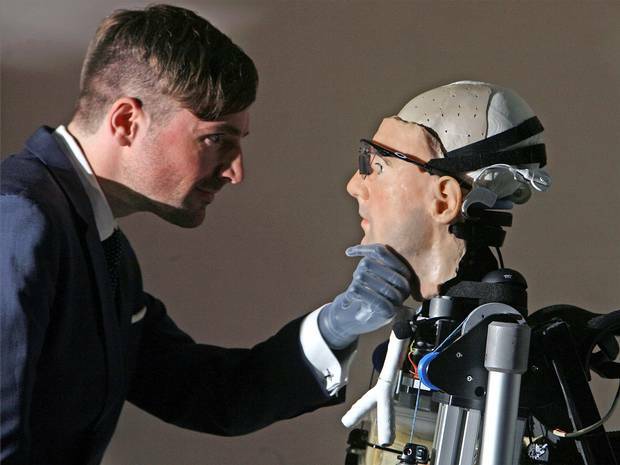 Britain’s $1m Bionic Man With Working Heart. When Alex J Murphy (Robocop) defied death and came back as a killing machine, possibility of such advancements in science escaped an ordinary man’s imagination. Rex has been developed by a team of scientists called The Shadow team which is managed and directed by Mr. Rich Walker. Watching an interview with Rex one can almost see him beaming with emotions and humanity while never concealing his true identity. 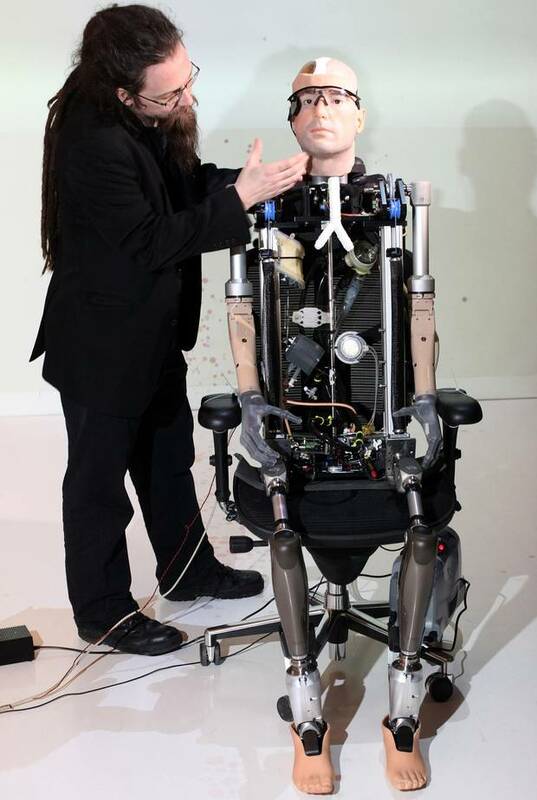 He/It leaves people mesmerized with the swishing of moving mechanical body parts coupled with the near human smile. Rex explores a plethora of opportunities in the field of biomechanics, human nature, life and death. Rex is a prime example of innovation in the field of mechanics. 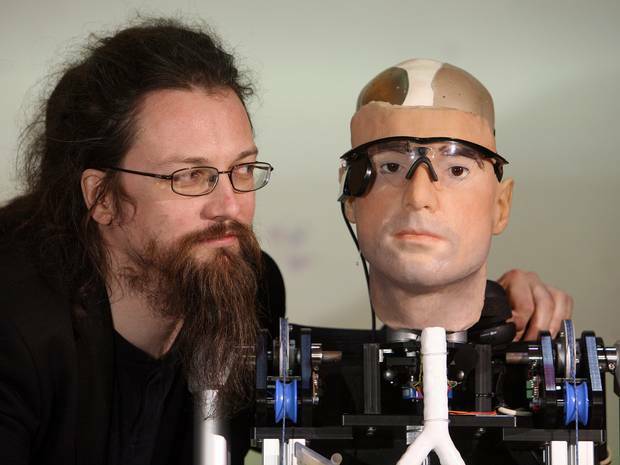 It is the paramount invention of humans just about resembling almost a complete bionic human form. Rex’s body consists of a face (yes you read it right), prosthetic knees hands and hip. All these body parts are available to the general public. Rex will soon be unveiled to the general public at the Science Museum in London. Some of the internal organs such as pancreas, set of artificial lungs and bladder, are being developed at this moment of time. These are the parts that can operate without human input. While organs such as brain, hands etc. cannot work without two way interactions within human bodies. Some of the technology cannot work without human input; bionic hands, for example, need muscles and signals from the brain to function. Other parts, such as the heart and pancreas, are designed to work on their own. “We were surprised how many of the parts of the body can be replaced,” explained Rich Walker, the managing director of team Shadow. Rex is a first step taken towards developing artificial sensory equipment which can work similarly to that of a human body. Rex is equipped with prosthetic parts identical to human body although not with such advanced capabilities as a human body is. Although creation of a completely identical set of organs such as Brain is a fanciful idea at this time, with developments such as Rex, you can never know when human race will be sharing space with fully developed bionic humans. Previous article The Floating Movie Theater of Thailand. Next article Blind Man Regained His Vision By Having Tooth Implanted In His Eye. Blind Man Regained His Vision By Having Tooth Implanted In His Eye.